MRC units are community-based and function as a way to locally organize and utilize volunteers. These volunteers include medical professionals and other non-medical individuals who want to help prepare for and respond to emergencies and promote healthy living throughout the year. MRC volunteers supplement existing emergency and public health resources. When and Why was the MRC enacted? The MRC was founded after the 9/11 attacks when thousands of spontaneous, unaffiliated volunteers showed up to help. During President George W. Bush’s 2002 State of the Union Address he enacted the MRC and asked all Americans to volunteer in support of their country. It is a partner program with Citizen Corps, a national network of volunteers dedicated to ensuring hometown security. Protecting the health and safety of nearly 60,000 people within a 8,500 square mile area requires a substantial amount of effort. TriCounty Health Department develops programs and testing plans to protect its citizens during a public health crisis. When faced with a public health emergency, every helping hand can make a difference in reducing illness and saving lives. The TriCounty Medical Reserve Corps is always seeking volunteers to help make Daggett, Duchesne and Uintah Counties healthier and better prepared in the event of major disaster. Volunteers don’t need a medical background or any special skills to be a part of the MRC, just a willingness to help in a time of need. Unpredictable acts of man or nature can quickly impact our community and could possibly overwhelm our health care system. During times of crisis, the MRC plays a critical role in helping to keep our health care system running smoothly by meeting the needs of not only tri-county area residents, but also persons who may be temporarily relocated to our area during a disaster elsewhere. MRC volunteers come from many different walks of life. Their common bond is their willingness to serve during a time of need. MRC volunteers receive free training to support public health and other first responders during a health crisis. Many people here in the tri-county region want to help out in an emergency and in the event of an emergency, many well-meaning people would want to volunteer and help. However, if a volunteer is unaffiliated, it is difficult to credential and manage these spontaneous volunteers. They are not covered under liability laws, unlike a MRC volunteer. Being a MRC volunteer does not require an extensive commitment of time. Usually it only requires an hour every other month and that the volunteer and their family are prepared themselves so they can assist in an emergency. Anyone, 18 years old and older, with an interest in helping our community and the ability to work well in a team, is invited to be a part of the TriCounty Medical Reserve Corps. Please contact TriCounty Health Department’s MRC Coordinator at (435) 247-1169. You may download the application with the link below. When completed hit the submit button at the bottom of the form. What are the Specific TriCounty MRC Target Areas? MRC units provide specific target areas which serves to strengthen the public health infrastructure of their communities. These outlined areas guide the MRC’s priorities in an effort to improve health literacy, prevent disease, eliminate health disparities, and improve public health preparedness. 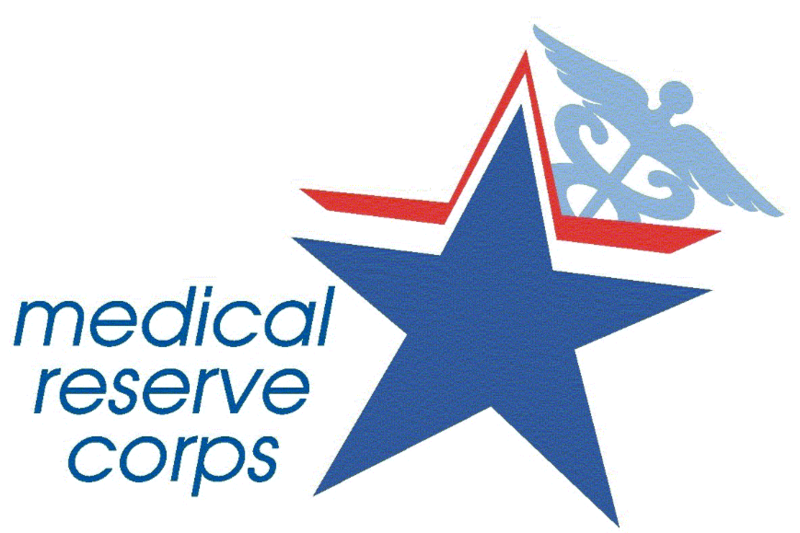 The TriCounty Medical Reserve Corps is currently seeking medical and non-medical volunteers, below is more information about the MRC and how to volunteer. Who can Volunteer for the TriCountry MRC? MRC Volunteers fill many critical roles during a disaster: greeting and directing people to registration and triage stations, assisting with distribution of food or supplies, managing traffic flow and parking volume, answering phones, and ensuring that people feel comfortable and safe. Persons who speak languages other than English or who know American Sign Language are needed to serve as interpreters.